Due to recent events with the shooting tragedy in Colorado. I have put together some personal security and safety tips from various law enforcement agencies and how to respond to a active shooting incident or emergency. Initially, the shooter only dreams of the shooting. He fantasizes about the headlines and the news coverage hell receive. He pictures breaking the death count record of the previous active shooter, and going out in a blaze of glory. He may draw pictures of the event, make Web postings and even discuss these desires with friends and foes alike. If these fantasies are passed on to law enforcement, police intervention can take place prior to the suspects attack. In this case, there may even be zero casualties. The suspect is still a potential active shooter at this stage. He is determining logistics the who, what, when, where and how of the infamous day. He may put plans down in writing and will often discuss these plans with others. A time and location will be decided upon one that will ensure the greatest number of victims or, in some cases, target specific individuals. The potential shooter will determine the weapons needed and how they will be obtained. He will decide how to travel to the target location and how to dress to conceal his weapons without arousing suspicion. If the police are tipped off at this time, intervention may be made with zero casualties. A law enforcement agency can still intervene during the preparation stage. The suspect may be obtaining gun powder or other chemicals for his improvised explosive devices. He might break into a house to steal weapons and ammunition and/or hide them away in a designated place closer to where he plans to attack. He may also do a practice run or walkthrough of the operation, gearing himself up for the assault. Potential shooters have been known to call friends and tell them not to go to school or work on a certain day, in order to keep them out of the line-of-fire. If one of these people informs police of their concerns, there is another opportunity for law enforcement to intervene before the event. If this is the case, there is a real possibility that there may be zero casualties. The closer the time to the planned event, the more dangerous it will be. By the approach stage, the suspect has made his plans and has committed himself to carry out the act. At this point, he is actually moving toward the intended target and will most likely be carrying the tools that hell use for the massacre. Officers may come into contact with the suspect at this stage because of a citizen complaint, a traffic stop or something similar. 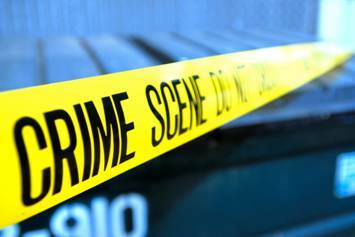 A thorough investigation can lead to an arrest of the suspect before he brings down a multitude of innocent people in a shooting or bombing. However dangerous the stop, an alert and armed officer has a final chance to intervene if he is prepared and aware during every street contact. This contact could become a lifesaver and may end in zero casualties. Once the shooter opens fire, immediate action must be taken. Initial responding officers need to immediately proceed to the suspect and stop the threat. If he is not stopped, the active shooter will continue to kill until he runs out of victims or ammunition. 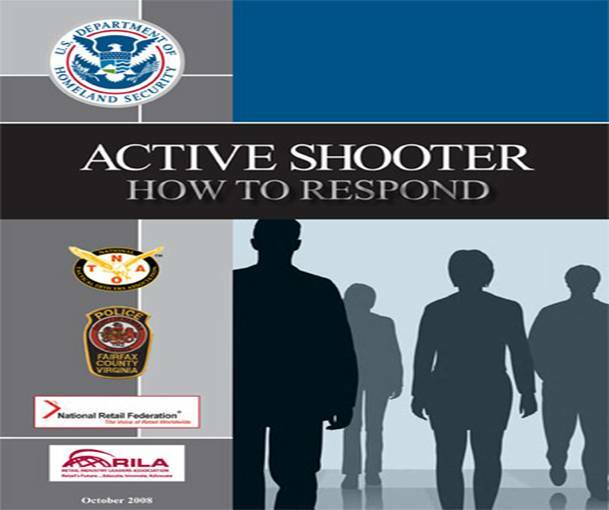 Remember, the active shooter is unique because he is going for the top score, or the highest number of kills on record for an active shooter incident. It is almost like a bizarre video game, except its real. The sooner someone anyone effectively intervenes through an act of courage, the fewer funerals will result. In past incidents, active shooters have been thwarted by police officers, security guards and school teachers. In October 2006, Principal John Klang of Weston High School in Cazenovia, Wis., died wrestling an armed 15 year-old student to the floor. Klang saved every life in the school except his own. close range and you cannot flee, your chance of survival is much greater if you try to incapacitate him/her. · CALL 911 WHEN IT IS SAFE TO DO SO! Law enforcements purpose is to stop the active shooter as soon as possible. Officers will proceed directly to the area in which the last shots were heard. may notice characteristics of potentially violent behavior in an employee. Alert your Human Resources Department or Safety Manager if you believe an employee or coworker exhibits potentially violent behavior. Awareness is one of the best defenses against any active shooter. No matter if you are at work, the movies, schools or shopping malls. Always raise your awareness it can truly save a life, that life maybe yours. Ken Oswald for this timely and important safety reminder.